One True Fan was a community web check-in company enabling users to view the daily visitors of web pages. Users earned points for engagement & earned virtual badges for achievements. Company had been acquired & is now Big Door. Worked with client to design badges for One True Fan website and their G4 Videogame Deathmaster. 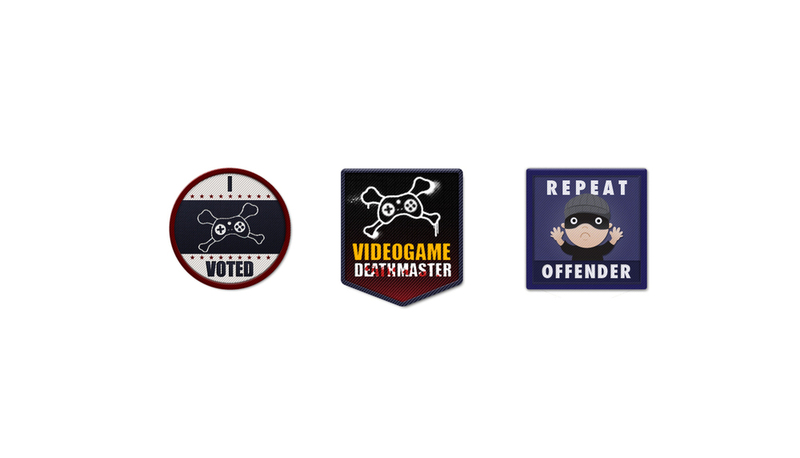 G4 Videogame Deathmaster badges: I created these badges by studying the G4 aesthetics, as well as the existing badge styles on the One True Fan website. Repeat Offender badge: I came up with a concept for users that get rewarded for repeat visits to a specific website. The badge needed to convey this concept, as well as fit the existing style of the site.